In grammar, a future tense is a verb form that generally marks the event described by the verb as not having happened yet, but expected to happen in the future. 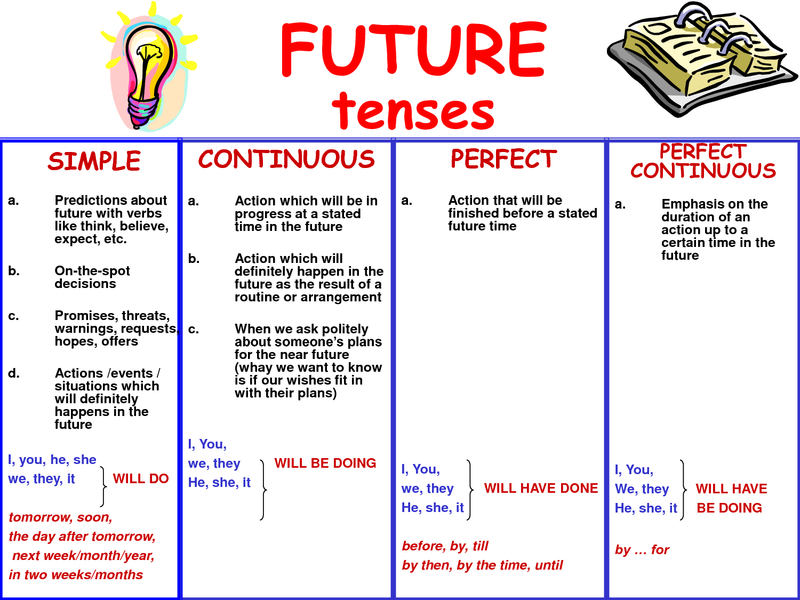 Let us quickly look at the four basic future tenses and some examples to understand them better. Future Perfect Continuous Tense: used for an action that is continuous and will be completed at some point in future. It is formed using 'will/shall' + 'have' + 'been' + 'the past participle of the verb (-ing) (e.g. Tomorrow at this time, I will have been swimming at the beach for four hours already) This tense is not very common. A. Missing out on 'am/is/are' when using the 'going to' form. Wrong: "I going to play the match tomorrow." Right: "I am going to play the match tomorrow." B. Missing out on 'to' whence using the 'going to' form. Wrong: "She is going that movie again." Right: "She is going to watch/see that movie again." Wrong: "He will winning the match." Wrong: "He is going to winning the match." Right: "He will win the match." Wrong: "They will to be sorry." Right: "They will be sorry." 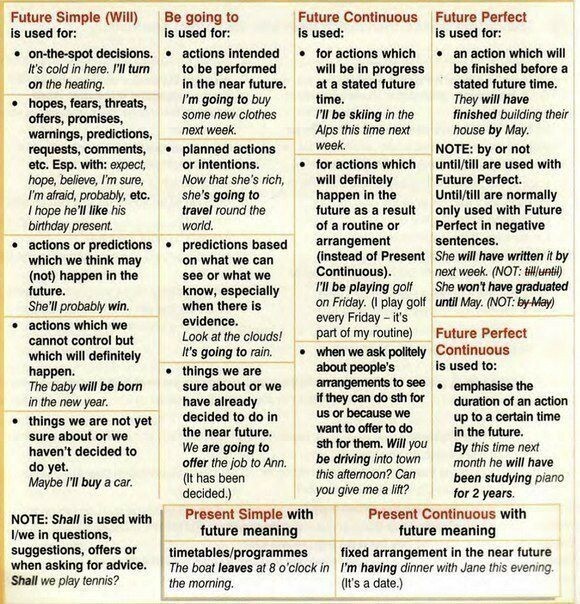 To avoid falling in this rut, we would also recommend that you have a look at this cheat sheet (below) that aptly gives us further insights to ensure that we use future tense correctly in our future communications. 2. How to justify yourself in good English? 3. How to edit your own writing?